What better gift can you give to someone special than the gift of adventure?! The opportunity to try something different, explore amazing places, learn new things about themselves. Our Gift Vouchers come with lots of different options and can be adapted for Christmas, birthdays, anniversaries, thank yous… or just for no reason at all. Our Gift Vouchers can hold a gift selected by you. 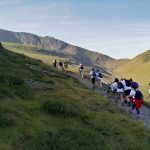 If you want a unique gift then you won’t find another adventure like Snowdonia Challenge. Chose 1 day entry for just £45. Or if you’d like to treat them to a whole weekend of adventure chose 3 day entry from £125. Or if they’re not quite ready for that yet, how about the stunning and extremely popular Great Orme Giant Walk? A Gift Voucher from just £17 will give them an adventure they will remember for a very long time. 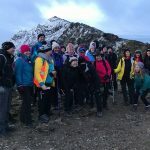 Would they like the gift of learning new skills and gaining confidence for bigger adventures? 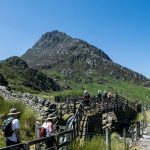 Then they would love a Navigation Day in the beautiful Snowdonia national Park. How about an extra special adventure for 2? We can create your own private tailored adventure for either a half day or full day (or longer) from just £40 per person. 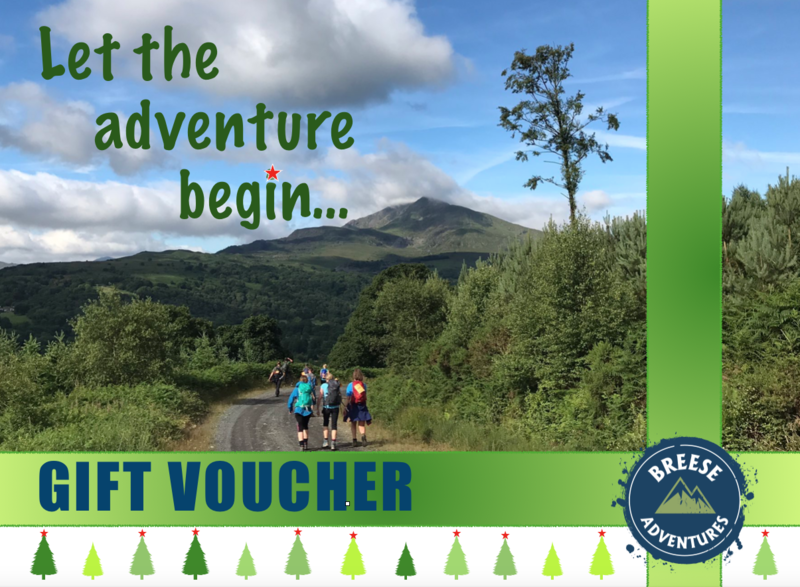 If you’d like to inspire them to chose their own adventure we can send you a gift voucher starting from just £20. This will be emailed out to you. if you’d like a specially printed gift card and envelope we can send this to you to add your own special message for an extra £3.50. I consent to Breese Adventures collecting my details through this form.